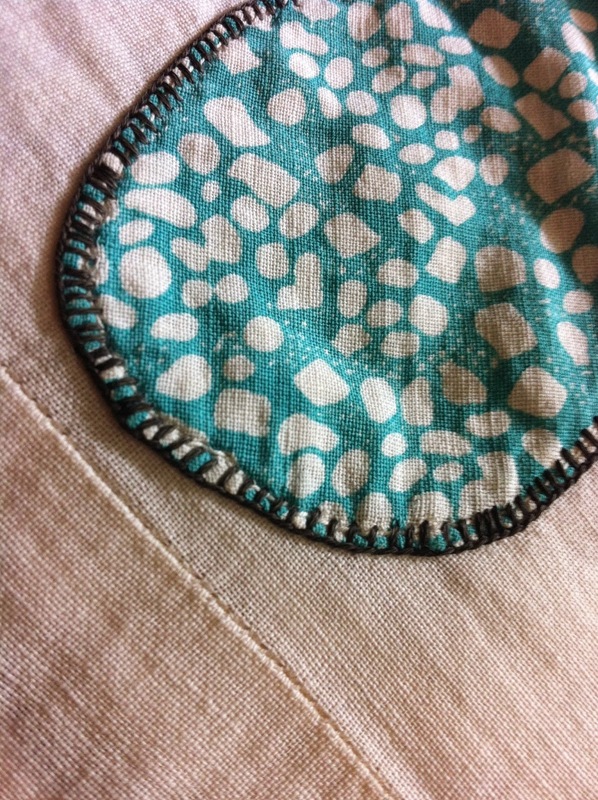 My example for this applique method! The hand done buttonhole stitch she did was very fine - these are about 1/8" apart, but you can see underneath the white machine straight stitch she used to tack down her shapes before adding the decorative stitching. 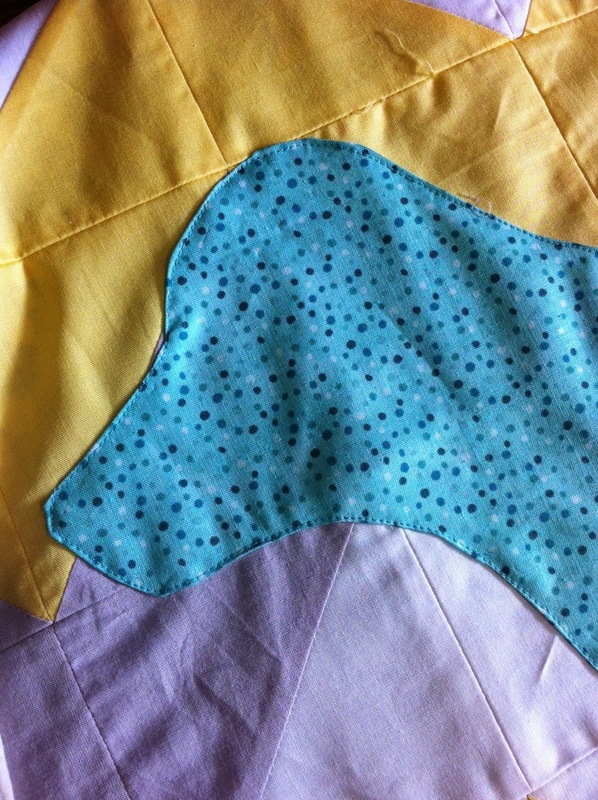 I wanted to duplicate her technique and carefully pressed the seam allowance around the dog shape and used a straight stitch to sew it onto the quilt top. Then I set up my machine for a buttonhole stitch, adjusted it for the width and spacing I wanted and sewed all around the outside. It worked great! And then, I thought about how babies like to play with their blankies and added a Minky lined ear flap, just for fun! I hope this baby loves their blankie! 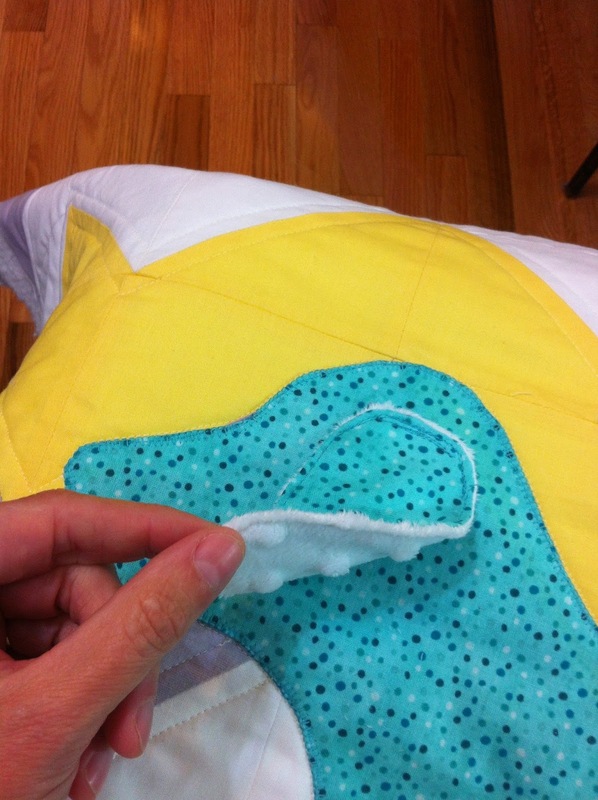 Do you applique? Tell me about your favorite method! Cute idea for the minky dog ears! Cute Quilt! Very nice - the ear is such a cute idea, and so much fun for babies!